You will learn from the best! 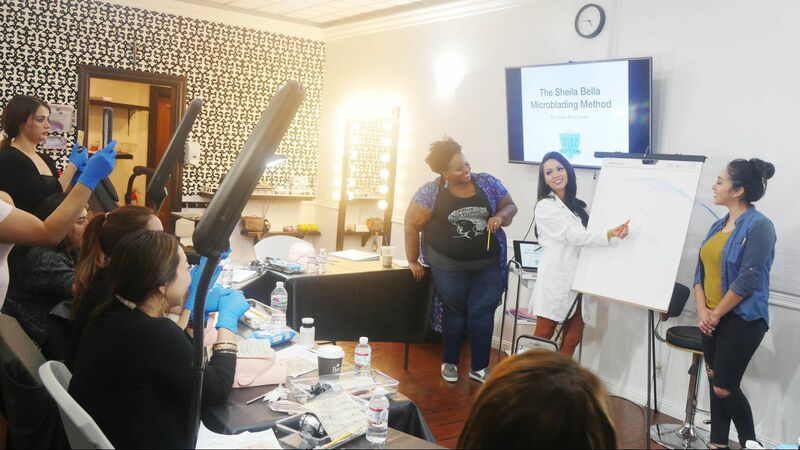 Sheila is an amazing teacher who has done thousands of procedures ranging from high profile celebrities (including Miss USA and Miss America), professional athletes, alopecia patients and clients who have lost hair due to radiation therapy. Sheila continually updates her education on the newest techniques and style on microblading. She has personally trained all of the gifted artists at Sheila Bella Permanent Makeup. Additionally, you will be one of the most knowledgeable microbladers out there with skills ranging from how to work with different skin types to chairside manners. You will learn strategies to creating crisp strokes, having the perfect stretch, proper documentation, marketing strategies, developing the artist-client relationship, and most importantly sterilization and sanitation. Knowing all this will show your clients why they should trust YOU, leading to more referrals and growing your business. 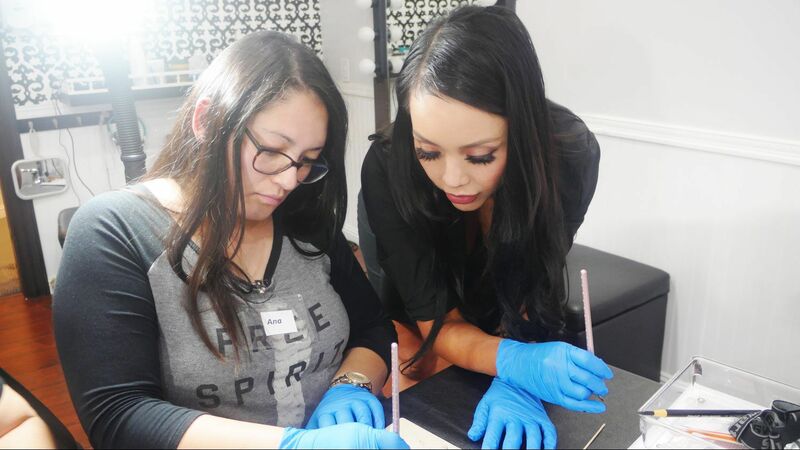 Mastery of microblading workshop is not only for beginners but it is also available to the most seasoned artist who wants to learn Sheila Bella's technique. Sheila herself is the instructor. After the workshop, the support that you need is available via email, text or call. You can turn in your work or your questions and get answers quickly. This includes completion certificate, lunch for each day and starter kit for your first 10 procedures. We will also provide you with reordering information so you can replenish your supplies. • Deposit: $1,000 to secure your spot. This includes a refresher from our 2-day intensive, Mastery of Microblading Workshop, completion certificate, lunch AND a live model. Every student is heavily guided by an Elite Artist at Sheila Bella to ensure the utmost comfort. • Deposit: $200 to secure your spot. Your deposit is nonrefundable, however, in the event that you cannot make it to your original workshop date you were accepted in, your deposit can be applied to a future workshop of your choice. All attendees are required to have a Blood Borne Pathogen certificate. You will receive the link for that, as well as other pertinent instructions, including lodging near us and airport. Sheila Bella Corp. is not responsible for fees incurred involving accommodation and travel expenses as a result of a cancellation.